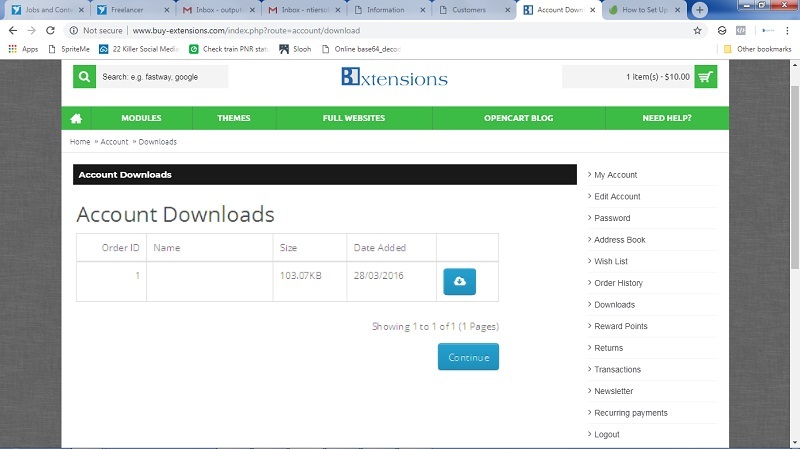 Please follow the following instructions to download the purchased Opencart Extension, Opencart Theme or Website Script. Purchase a product and Place Order. Store Admin will authorize the payment and Approve the order. Once order approved you will be notified to your email id. You an also check Order History to verify Order Status = Completed. Being Logged in to the website, go to My Account page. 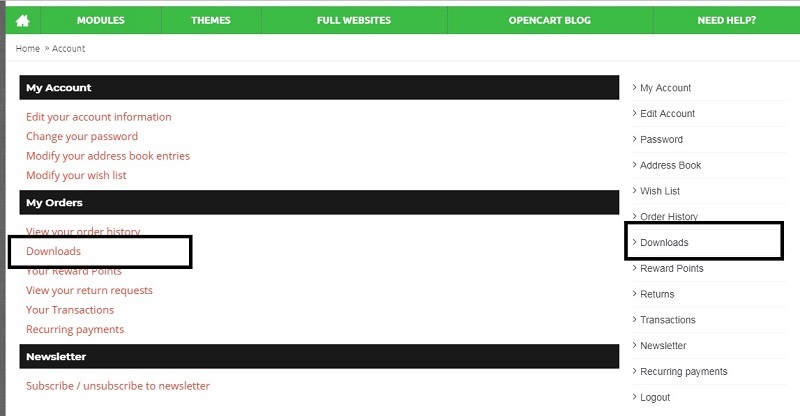 You should be able to see all purchased opencart modules and themes here. Of course, the order you placed should have Order Status must be Complete before you download the module zip. If you don't see your order in Downloads list then you can check Order History. To download any purchased module, just click on the Download icon.